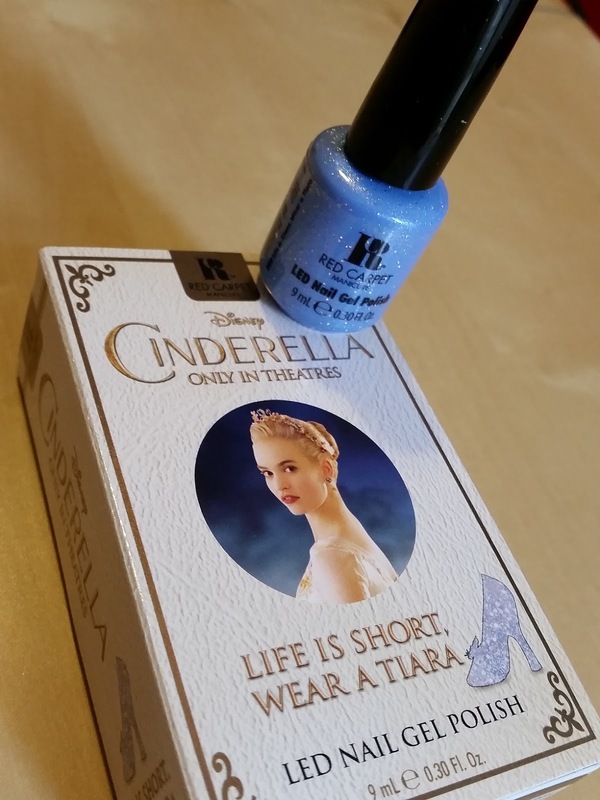 NOTD: Red Carpet Manicure LED Gel Polish Cinderella Collection "Life Is Short, Wear A Tiara"
When I saw promo shots of this collection I was sold. In fact I was sold on the movie too after watching a trailer... Just the costumes really :) Anyway, I digress. I was in Edinburgh yesterday for my final appointment for my knee after my surgery so I decided to pop into Harvey Nichols beauty hall. Mistake. I ended up buying this gel polish. These retail for £12.95 which is a lot of money for just 9ml of product. But I haven't actually bought any polishes in the last couple of months (after my Xmas Swedish blow out), so I decided that it could make that up by splashing it on this premium one!  There are 6 colours in this collection, the whole collection can be seen in more detail over at Chickettes. This polish is sheer, but does have a distinct sky blue base. It has blue shimmer, a bit like China Glaze "Blue Island Iced Tea" but not as opaque, and bits of larger holographic glitter. I used my OPI GelColor base and top coat for this as this is actually the first Red Carpet Manicure polish I have. I decided to use the Sensationail LED light. Base and top cures in 30sec. I cured each coloured layer for 45sec as indicated if you use the RCM Pro LED light. Worked well! I ended up doing 3 coats as it is a very sheer polish. £12.95 - I think I would like to see these small bottles go for £10 or less. This limited edition colour comes in a rather nifty box! Otherwise OK brush but the lid is a bit fiddly to hold as it's very small. NOTD: Sephora Formula X "Drawn to You"
This is one of the polishes I picked up in Sephora in Stockholm at Xmas. It has a very fitting name, I was very much drawn to it in the shop! As I was drying the first coat I casually read the label on the back. "Made in the UK". WTF - are they kidding me?? They make these here then ship them all over the world but we don't have a Sephora that actually sells them in the UK?? I really don't get why they can't open a store and/or online shopping in the UK. People would go nuts just for the self branded stuff never mind all the other brands they carry. It's all well and good they now ship to the UK from the US, but they don't ship any of their nail polishes due to postal regulations. Anyway, I mustn't get worked up about it AGAIN. I did 3 coats here. It is rather sheer but that is actually a bonus, the transparency means the microglitter can really sparkle as you build it up! 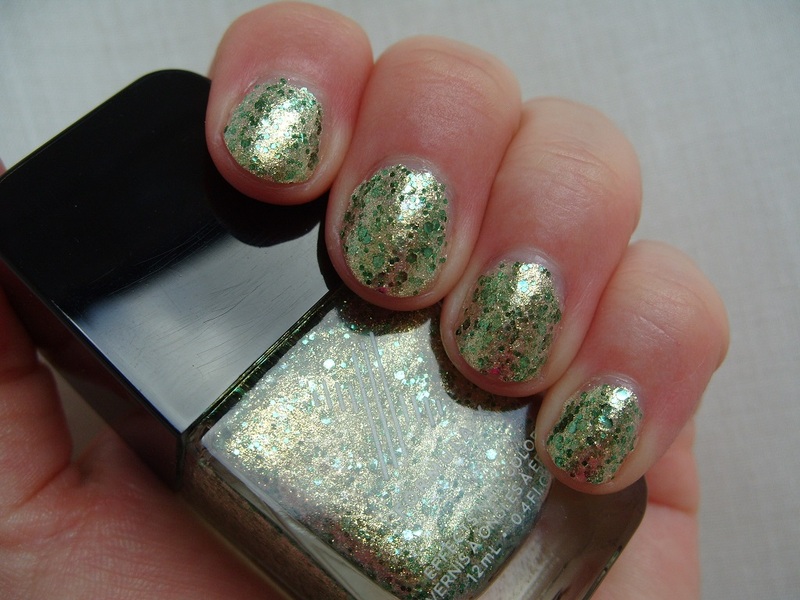 It has this golden-green microglitter base with these larger dark green metallic particles. And it is megawatt sparkle!! I stuck a coat of Seche Vite on top to dry it quicker. I don't have any colours quite like this, the closest one would be Revlon Parfumerie "Wintermint" but it is much more mint/blue-green in colour than this and it isn't as metallic. I am not going to have a rant again about why these are not sold in the UK. But I am sure you would agree that they should be!